3.Actual capacity of 16GB: approximately 14.4-15GB. Easy to Use - Plug and play, no need to install any software. Support Windows 7 / 8 / 10 / Vista / XP / Unix / 2000 / ME / NT Linux and Mac OS, compatible with USB 2.0 and 1.1 ports. Friendly Design - Mini design so that you can put it in pocket or any small space. And the top cap design can provide efficient protection to the USB port. Great for All Ages and Purposes - Suitable for storing digital data for school, business or daily usage. Apply to data storage of music, photos, movies and other files. Fashion and Convenience - Fashionable and convenient portable storage device allows you to store the information you want to record, keep your digital world in your pocket. 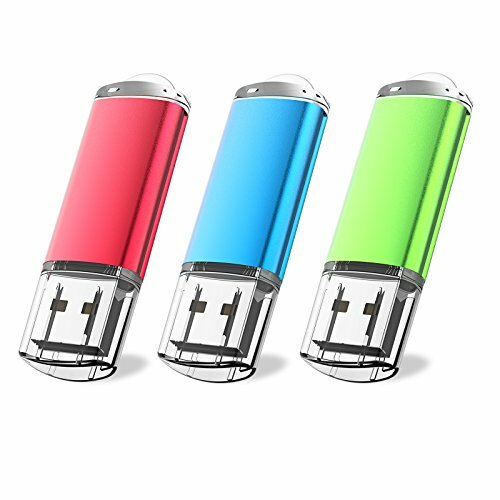 What You Get - 3 pack 16GB USB 2.0 Flash drive available in 3 different colors, 12-month warranty and friendly customer service. If you have any questions about this product by JUANWE, contact us by completing and submitting the form below. If you are looking for a specif part number, please include it with your message.